At Baselworld 2015 Longines presented a new collection designed as a contemporary interpretation of the elegance so dear to the Swiss watch brand: Longines Symphonette. The unique oval shape of the cases, the sophisticated mesh of the bracelets and the refined dials of the different variations are like notes that come together in an impeccably controlled arrangement. The Longines Symphonette is the perfect adornment for women whose life is conceived as an eternal performance. 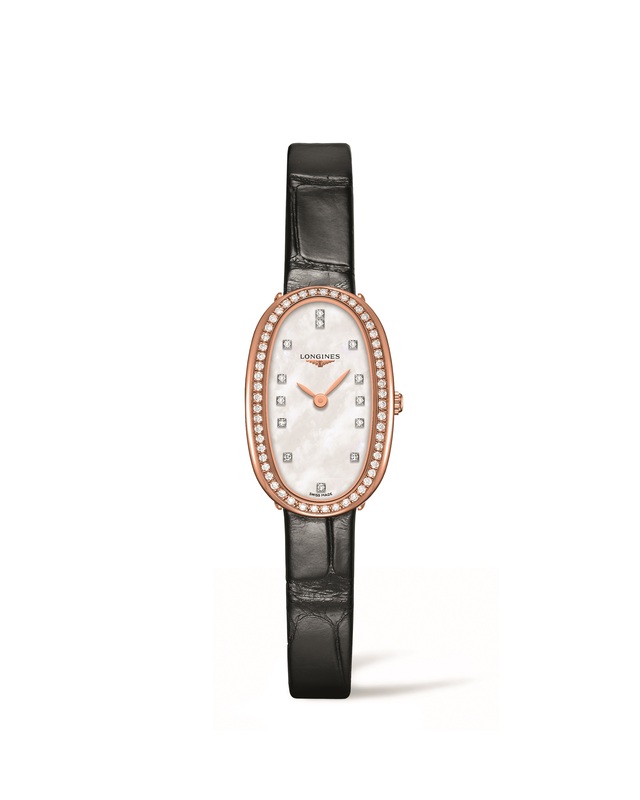 Since its establishment, Longines has been attuned to the desires of its female customers. In line with its rich watchmaking history that has produced many legendary models worn by stylish women throughout the ages, the Swiss watch company presents a new collection for women who embrace modernity: Longines Symphonette. Truly contemporary, these designs will please lovers of chic and trendy aesthetics while remaining true to the timeless elegance that characterises Longines brand. The eminently feminine case sports an ellipse and sets the tone: this new range will thrill lovers of modern, bold watches. The brilliance of steel, gold and diamonds enhances the refinement of the dials, while the finely crafted bracelets add the finishing touch to the whole piece. An ode to twenty-first century women, the Longines Symphonette is designed for women who want to wear a contemporary yet elegant watch to shine in the spotlight of their evenings out. Available in four sizes – XS, S, M and L – the oval steel and diamond-set steel cases of the Longines Symphonette house a quartz movement. The mother-of-pearl hour circle comes with either diamond indexes or with inlaid Arabic numerals. The polished lacquered black dial is adorned with diamond indexes, while the silver-coloured flinqué dial features Roman numerals. Mounted on a black alligator strap or sophisticated steel mesh bracelet, these watches are water resistant to 3 bar. An exclusive rose gold version, available with or without a row of diamonds, sports a mother-of-pearl dial with diamond indexes or inlaid Roman numerals whose pink hands harmoniously match the case. Available in boutiques starting September 2015.